Clowns are having something of an image problem at the moment, with the revival of Stephen King’s IT prompting more and more people to claim they suffer from ‘coulrophobia’. 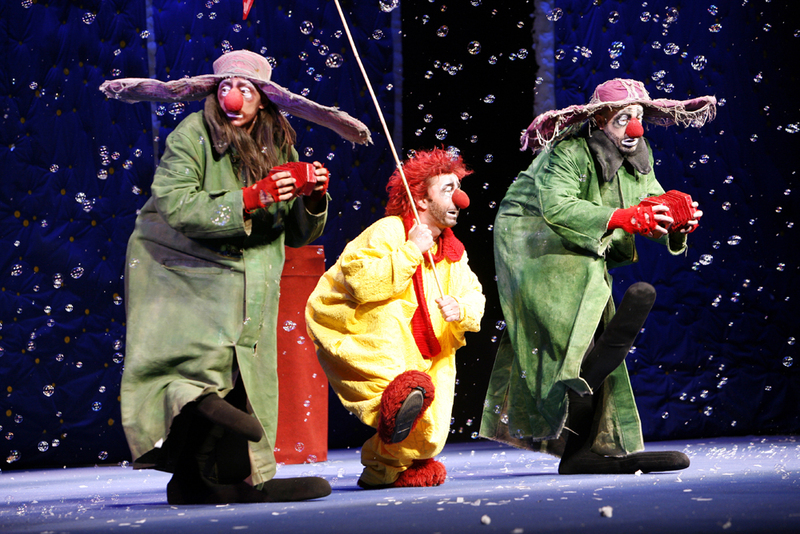 Those looking to remedy these fears would be wise to attend Slava’s Snowshow, which showcases the charm and innocence of the hapless birthday party clowns we all remember from childhood - but with an added dose of magic and wonder. To describe the show is no easy feat. Russian performance artist Slava Polunin has created a mesmerising and hypnotic visual feast, which manages to elicit gasps of joy and peals of laughter from audience members of all ages. There is no specific narrative to the show but rather a compilation of comic and touching scenes played out in almost slow motion. One such scene in the second act, involving Slava and nothing but a coat, hat and coatstand, manages to create one of the most tender and enchanting moments of theatre I’ve had the pleasure of witnessing. Of course, not every scene manages to hit the mark as well as this and a running gag with two telephones, while amusing, could definitely be shortened as it verges on tedious. The set at face value seems nothing more than a series of giant hanging sheets of fleece but when the lighting and music work their magic they become a beautiful night sky, or a choppy sea. Slava and the cast work the same magic on the basic props, transforming a broom and a bedframe into a ship. The score of the show is a mixture of new and familiar tunes that are the perfect soundtrack to the carefully choreographed movements of the clowns. To say more about the content of the show would risk ruining the many surprises in store. Slava’s Snowshow is a breathtaking spectacle that will be enjoyed by all ages, and as was apparent from the wide-eyed wonder of the audience last night, Slava had everyone under his spell.